Ann, who joined the Human Resources Department in January 2005, has led the Company’s annual United Way donor campaign throughout her tenure and has turned in some impressive results along the way. The married mother of three, about to begin her 14th campaign, is Santa Cruz County’s longest-serving employee campaign manager and doesn’t hesitate to share the campaign practices she’s found work best at Graniterock with her counterparts at companies throughout the county. 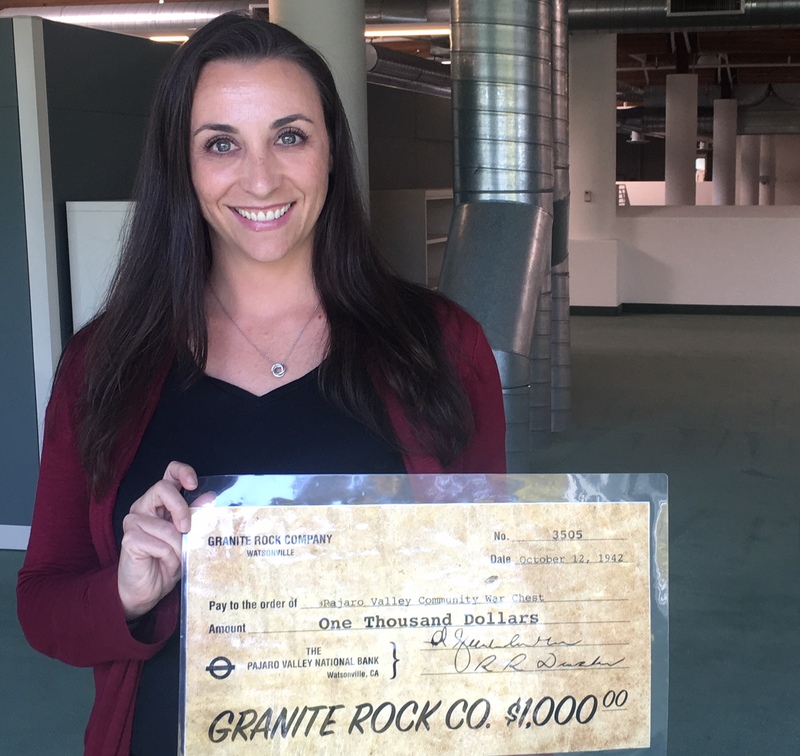 After all, Graniterock has been United Way’s top corporate donor many years running. In addition to her job managing Graniterock’s team member benefits – health insurance, flex spending and 401K plan – Ann dedicates half of the year to organizing the United Way campaign and rallying the Company’s nearly 1,000 team members to open their wallets and join the good cause. She also received coordinator of the year in 2007. With the Company matching team member donations, more than $203,000 was raised in 2017-18 for United Way across the region – Santa Cruz, San Benito, Monterey counties and parts of the San Francisco Bay Area – and the various nonprofit organizations it supports. Roughly 53 percent of Graniterock team members participated. In 2008-09, during the economic recession that impacted paychecks, a remarkable 74 percent of Graniterock team members participated in the United Way campaign. While the United Way campaign officially runs August through mid-October, planning and organizing begins in July and doesn’t wrap up until January. Ann begins in May seeking volunteer coordinators at the 20 or so individual Graniterock branches to help organize, plan team meetings, collect pledge forms and motivate their team members to join the effort. She hosts a kickoff luncheon in July, which includes members of Graniterock’s Executive Team, to educate the volunteer coordinators and lay out the campaign plan, including incentives to encourage team member participation. For example, catered lunches or barbecues are held for the branches that have the largest percentage increase in donations each year. Ann says the Company’s generosity toward United Way starts with strong support from Graniterock’s top leaders. With President Tom Squeri and the entire Executive Team on board, others see that giving back to our communities is more than just talk.